Here’s what’s happening in the world of television for Tuesday, April 2. All times are Eastern. This Is Us (NBC, 9 p.m., third-season finale): In this season’s This Is Us premiere, we were given a new mystery to ponder. The big season two question was “How did Jack die?” the answer involved a number of things, including “smoke,” “dog,” “heroism,” and, of course, “CrockPot.” This season’s question is somehow both more open-ended and more specific. It’s this: Who is “her”? 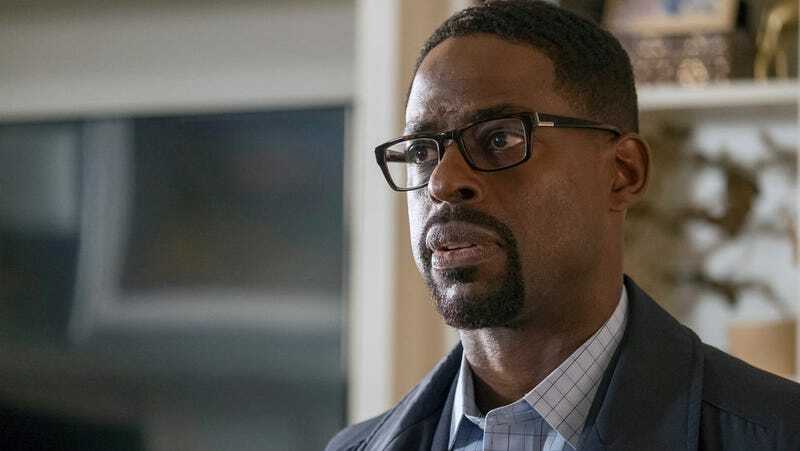 That question was set up in the premiere by the appearance of a considerably older Randall (Sterling K. Brown) stopping by to see a grown-up Tess (Iantha Richardson) and suggesting it was time to go see “her,” ready or not. There’s nothing in the promo above that gives anything away, but given the episode’s title—that’d be “Her”—it’s safe to assume we’ll get at least some answers. It’s just as likely that Randall and Beth will get some, too, given the focus of that promo and the tone of last week’s episode. Sounds like a quiet night for the Pearsons, huh? Caroline Siede doesn’t know “Her,” but she’s ready to recap all the same. The Last O.G. (TBS, 10:30 p.m.): This Tracy Morgan and Tiffany Haddish comedy (from executive producer Jordan Peele, no less) started pretty strong, and got even stronger as the first season went on. It’s one of those rare, delightful series that always seems to make the more interesting choice. Yes, there’s broad comedy, but there’s also plenty of gentleness, thoughtfulness, and several terrific performances, to say nothing of the majestic dessert loaf. Welcome back, Tray!